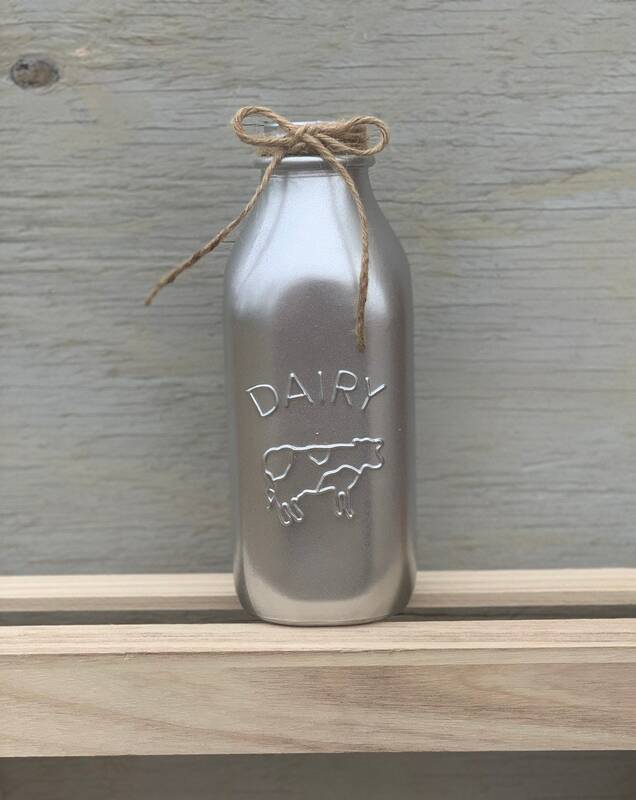 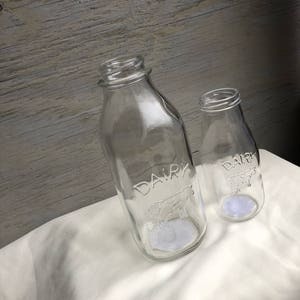 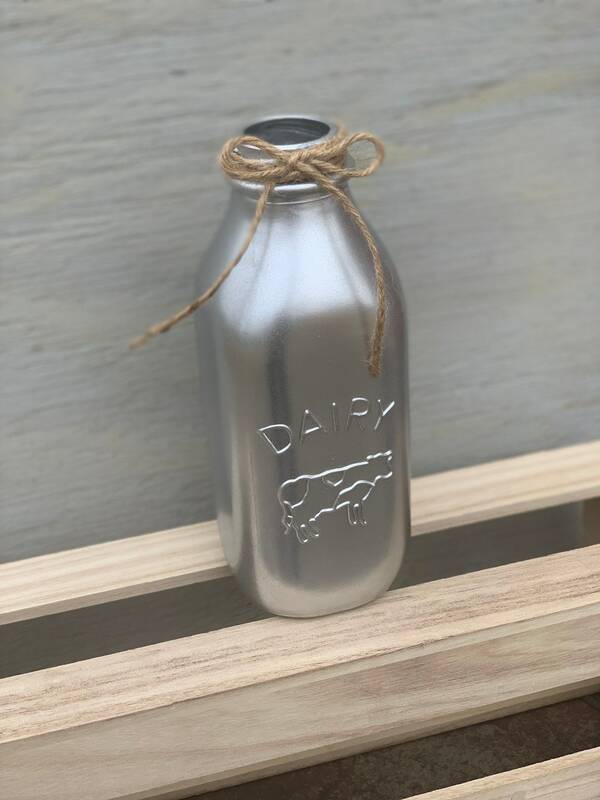 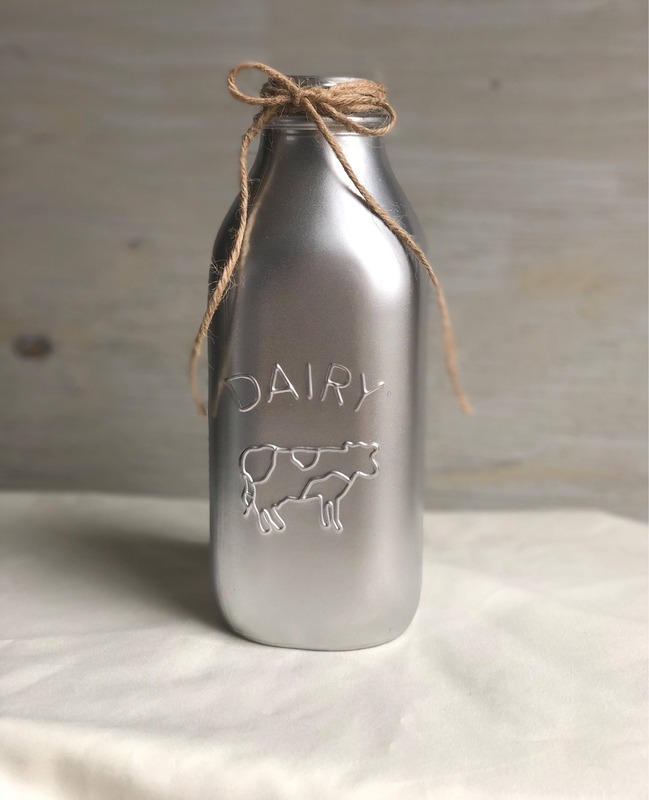 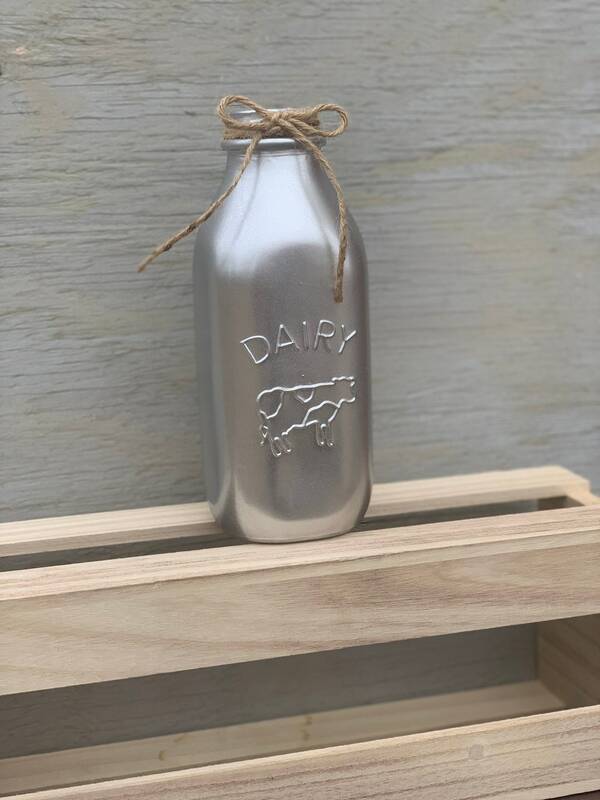 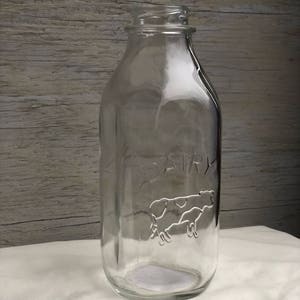 This silver metallic milk jar is the perfect enhancement for any event. 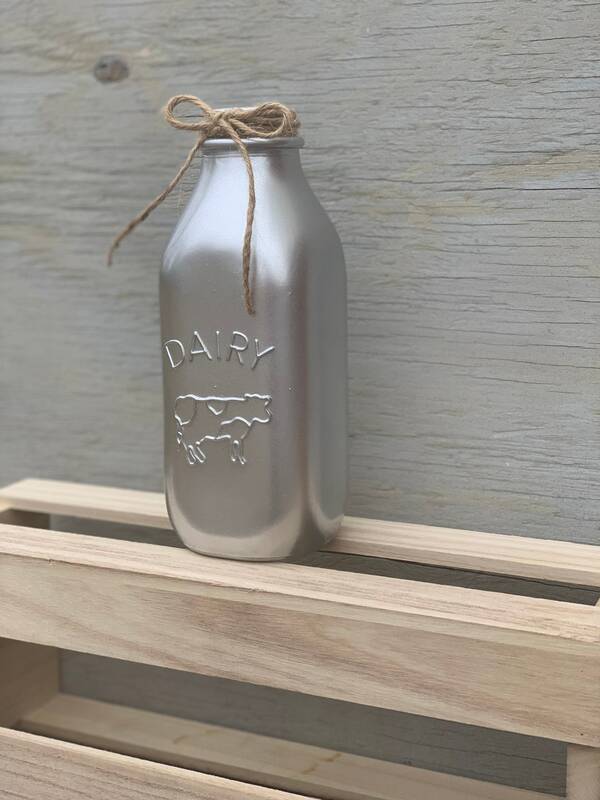 It is painted a lovely silver hue. 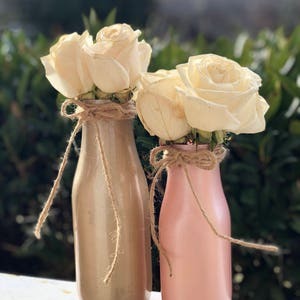 While the neck of the bottle is simply wrapped into a dainty bow. 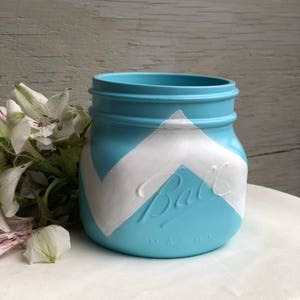 So, whether holding rulers and pencils in a classroom or flowers at a wedding, this jar will stand out as the ultimate ornament.